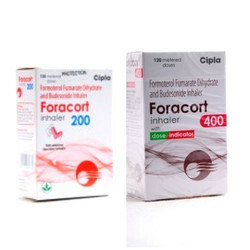 Our product range includes a wide range of foracort inhaler, tiotropium bromide inhaler, cofryl cough syrup, ab phylline, benadryl softgel capsule and seroflo autohaler. 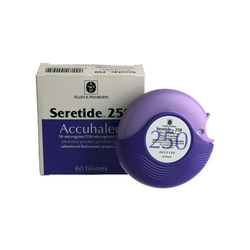 inhaler from us at affordable price. 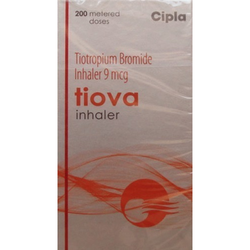 Owing to our vast industrial experience in this domain we are highly engaged in offering Tiotropium Bromide Inhaler. The injection is mainly used to treat allergic asthma and helps decrease allergic responses in the body. The injections are checked on various quality parameters to ensure its optimum effectiveness. The injection can be purchased from us at cost effective rates. We are a leading brand in the industry, engaged in offering an excellent quality range of Cofryl Cough. The offered Cofryl cough belongs to a group of medicines called antihistamines. It is used to relieve symptoms of allergy including runny nose, sneezing, itchy and watery eyes. Apart from this, this Cofryl cough is effective for the prevention and treatment of nausea and vomiting, or dizziness. 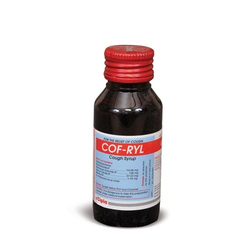 Our Cofryl cough is rigorously tested on various parameters of quality in order to deliver quality assured range at the clients’ end. 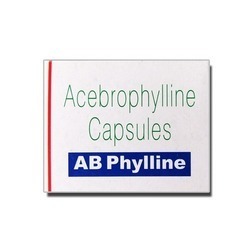 AB Phylline contains Acebrophyllin It not be used during Hypersensitivity to ambroxol, acebrophylline, theophylline or any other xanthine derivative, May cause acute myocardial infarction, hypotension, hemodynamic instability and arrhythmias, renal disease or liver disorder. With the help of our experienced professionals, we have been able to offer our clients supreme quality Benadryl Softgel Capsule. 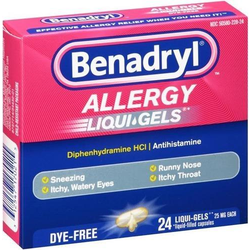 This Benadryl softgel temporarily relieves these symptoms due to hay fever or other upper respiratory allergies. 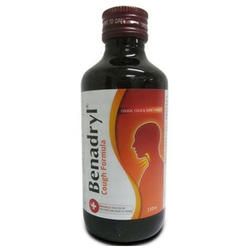 Also, this Benadryl softgel is stringently tested on diverse quality parameters before the final delivery. 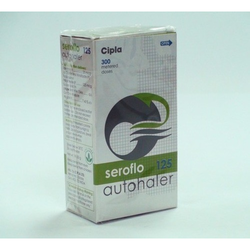 Seroflo autohaler, is the anti-inflammatory component of the combination, while Seroflo Autohaler treats constriction of the airways. Together, they relieve the symptoms of coughing, wheezing and shortness of breath better than either Seroflo Autohaler. We are the noted provider of optimum quality Bresol Syrup. The syrup provides relief in allergic rhinitis, bronchial asthma, allergic bronchitis and pollen allergy. Keeping in mind the medical quality standards, these are inspected in terms of quality under the supervision of experienced quality controller. Further, we are providing the Bresol Syrup at nominal rates. 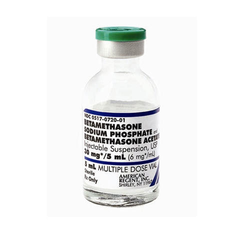 We are dedicatedly engaged in manufacturing Betamethasone Sodium Phosphate for our prestigious customers. Well known for its high effectiveness, Betamethasone Sodium Phosphate is used to reduce inflammation, irritation, and pain. Stringently tested on various parameters, Betamethasone Sodium Phosphate is available at most reasonable price to our clients. Diphenhydramine is an antihistamine used to relieve symptoms of allergy, hay fever, and the common cold. These symptoms include rash, itching, watery eyes, itchy eyes/nose/throat, cough, runny nose, and sneezing. It is also used to prevent and treat nausea, vomiting and dizziness caused by motion sickness. 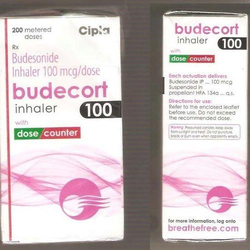 We are offering Budecort Inhaler to our client. We are offering Seretide to our client.